THE AMERICAN BEAUTY TOUR 2016! Jordan Liberty is a Philadelphia and New York City-based professional makeup artist, photographer, educator, and personality. His iconic work has been seen on national television, along the catwalks at New York Fashion Week, in magazines worldwide, and on his professional YouTube channel as a premium content creator (with a total social media reach of 400k+ followers). Liberty and his work have recently been featured in Allure, Glamour, Jolie, and Make-Up Artist Magazine; and online at Refinery29.com, Bustle.com, Stylecaster.com, and Beautylish.com. In 2015 he received a coveted "Best of Beauty" award from Allure magazine, recognizing his innovative work as a makeup artist and digital influencer. Recent clients include Wantable, QVC, Clinique, Frends Beauty, and Warby Parker. 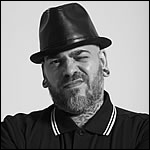 In 2012 he created Liberty Republic, a professional-based luxury brand of false eyelashes and vegan nail lacquers that can be found online at www.libertyrepublic.com. << Back to The American Beauty Tour main page. Merrell Hollis may be known as a quiet storm in the pro makeup arena but his influence on our perception of beauty is nothing short of astounding. As a make-up artist and grooming expert, his creativity has catalogued mediums, models, innovators, celebrities and legends alike. His hands have effortlessly molded the images of an entirely new pop civilization of music, culture and the new black elite. His indomitable standard is precise but he disarms you with his smile, leaving imprints that have opened the doors to lasting relations. Merrell is well known for his work with celebrity clients including Jennifer Hudson, Wendy Williams, Naomi Campbell, Diane Von Furstenberg and Kim Cattrall along with the talent at Sean Combs Bad Boy Entertainment. 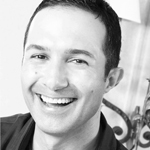 His cosmetic expertise has been shared with Access Hollywood, Entertainment Tonight and the CBS Early Show. Editorially, his artistry has graced the pages of Vogue, Harper's, Bazaar, InStyle, Vanity Fair, Essence, GQ, Details, Interview, Rolling Stone, People and Men's health. His work had also appeared in music videos for Sean 'P.Diddy' Coombs, Mary J Blige, Nelly, Usher, Faith Evans and Ludacris. Throughout the decade, Merrell's consultancy within the beauty industry has allowed alliances with the leaders of Clinique, Bobbi Brown, MAC, Lancome and Versace. His work also appears on product packaging for L'Oreal Paris and Soft Sheen Carson in addition to also being on display in the company's advertising. He believes that good skin is foundation for great make up. Merrell is also a member of the American Cancer Society's advisory board. He feels that it is duty as a man to help uplift and support the needs of people of color and his community. Matin is one of the most sought after fashion and celebrity make-up artists working today. His work has been published on the international and domestic covers and pages of Vogue, Elle, InStyle, Glamour, Cosmopolitan, Marie Claire, and Vanity Fair. Living legends Jeanne Moreau and Meryl Streep, actresses Angelina Jolie, Claire Danes, Julianne Moore, and Gwyneth Paltrow, pop stars Dido, Mandy Moore, and Jessica Simpson -- all are among his clients. Perhaps most importantly, Matin is the founder of Afghan Hands Inc., a nonprofit educational organization dedicated to helping Afghan widows and disenfranchised women. CNN's Anderson Cooper 360 profiled the Afghan Hands project, and press coverage includes Elle, Life and Style, Vogue Nippon, Lucky and People. The New York flagship store of Saks Fifth Avenue featured the shawls in its windows for "Brush With Greatness" week. Artists, photographers, and designers are working with Matin and Afghan Hands to bring about social change in Afghanistan. The project is a model for change in other countries where women are in desperate need of education and empowerment. Charlie, a truly talented makeup artist who's had an enviously exciting, successful, and inspirational career that spans 25-years in the industry! One of the most influential makeup artists in the world; Betsey Johnson calls her "my favorite makeup artist on Earth." Charlie's work has been seen on runway shows to celebrity clientiel. Working with designers and brands such as Betsy Johnson, BeBe, Tommy Hilfiger, Rebecca Taylor, Guerlain, Lancome, Estee Lauder, Fendi, Guess, and Victoria's Secret. A few of her celebrity clients include, Alicia Keyes, Angelina Jolie, Angela Basset, Bette Midler, Elizabeth Hurley, Helena Bonham Carter, Missy Elliot, Penelope Cruz, Rachel McAdams, Rebecca Romijn, Salma Hayek, and the list goes on. Also working with a number of photographers like David LaChappelle, Francesca Sorrenti, Shiela Metzner, and Tom Monro, her work has been feature in numerous magazines including Elle, Vogue, Tommy Hilfiger, Sports Illustrated Swinsuit Edition, Vanity Fair, GQ, and many more. Charlie's personal mission is to "Educate, Inspire, Instruct & Mentor." 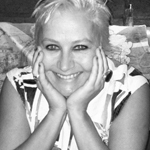 She is nurturing the next generation of beauty entrepreneurs at the Academy of Art University! She also works closely with The MakeUp Show and The Powder Group, to guide and nuture the next generation of Beauty Professionals. 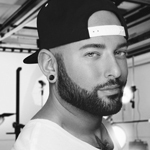 As Director of Artistry for The Makeup Show, The Powder Group and On Makeup Magazine James Vincent is fortunate to have been given the opportunity to work around the world with makeup lines and makeup artists at all levels of the industry. James' passion for the art of makeup has included nearly every genre of makeup artistry â€“ from film and theatre, television and celebrity work to editorial and runway work and includes training and product development positions for such companies as MAC, Armani, YSL Beauty, Make Up For Ever, Stila, CNN and Lancome. 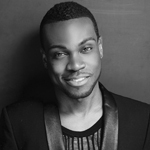 James was the co-founder of the niche makeup line Pretty Pretty and now focuses his career on working internationally in fashion, film, theater and editorial. His resume includes clients as diverse as designers Suzanna Rae, Charlotte Ronson, Odilion and Ashley Paige and celebrities Lady Gaga, Liv Tyler, Joan Jett and Jane Fonda. Having worked with photographers including Alexander Thompson, Mike Ruiz and David Lachapelle James work has been seen on the cover of Paper and Atomic and in magazines including ID, Index, Wonderland, and Surface. He has been featured on numerous television shows as a beauty expert such as NBC Universal's Home Delivery and NBC's The Today Show. James has also worked in television as key artist for shows including American Idol and on stage for productions including Roundabout Theatre's "The Philanthropist". Nylon magazine and WWD have named James as a "Makeup Artist to Watch"